When pushing rates from Tokeet to Booking.com there are a number of things that you should keep in mind. For example, Booking.com does not allow channel managers to update the currency of a property or change the occupancy based pricing. This is described described in detail below. 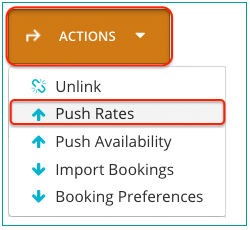 You must select which Rate Category you want to push to Booking.com. We recommend simply creating a different rate category per every connected channel. 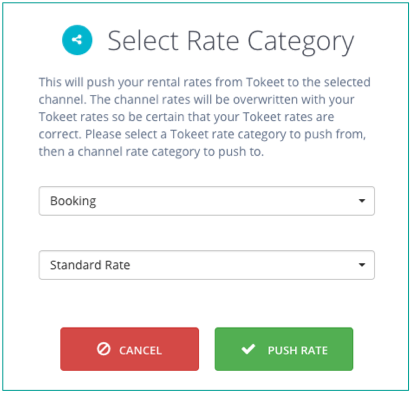 Tokeet will use all rates that belong to this rate category when updating rates on Booking.com. Please see this Help Center article for more info about Rate Categories. Booking.com has specific rules around occupancy based pricing, or what we call Additional Guest Fee in Tokeet. 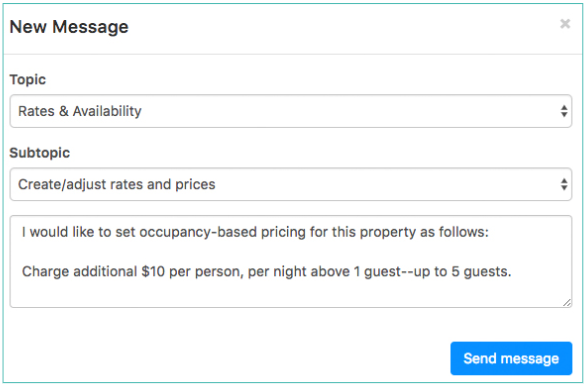 Occupancy based pricing is the amount charged per guest over a specific number of guests. By default, Booking.com will use your Tokeet additional guest fee to compute maximum occupancy pricing; they will discount this rate when fewer guests are in the booking. This can result in rate discrepancies between Tokeet and Booking.com. Note: some Booking.com accounts are setup to receive the low occupancy rate from their channel manager. In these cases simply remove the Additional Guest Fee from Tokeet. If you push your rates to Booking.com and they are much higher than expected, this is probably the case. You Tokeet Rental Currency is not used by Booking.com. You must request a change in your rental currency by sending an email via the Booking.com Extranet. This applies to all channel managers connected to Booking.com. 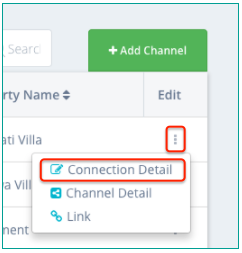 if you have mapped Rental Rate Categories to specific channel rate categories, you can push rates by navigating to Rentals > Rates & Payments and clicking "Push All Rates" in the Rate Mappings portion of the screen. Click "Push" to publish rates. That's it!